There is an English proverb which goes, “In a cat’s eye, all things belong to cats.” Yes, sometimes it does seem that cats own everything around them and are the masters of their masters. Dogs can be tamed and made to follow the commands, but cats are still far away from this practice. Understanding a feline’s behavior is definitely far more difficult than the dog’s. Their territorial behavior is the most common reason for cat fights in households. But, there are many more reasons for the easily surfacing aggression in cats. 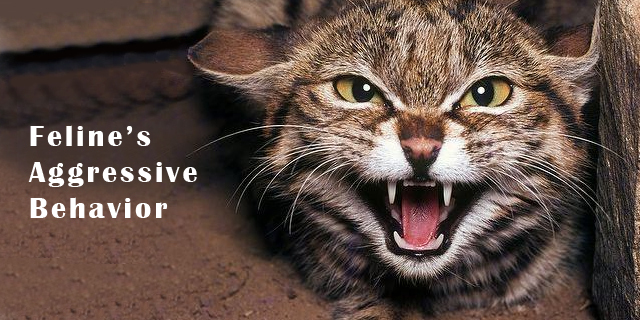 Let’s learn some very important things about a cat’s aggressive nature! Aggression is the anger or antipathy that usually results in violent actions and harmful behavior. Virtually all animals tend to show aggression to protect their pups, marking their territories and to protect themselves if attacked. Cats are known for their territorial behavior and if any other cat surpasses it, the situation could easily get worse. The world would have been a lot better place if pets could convey their feelings just like the humans do. But, the bitter truth is that they cannot! And for this reason it is very important for pet parents to understand the body language of their pets. The various positions and expressions of cats have different meanings which portray their mood. For instance, cat’s aggressive behavior is shown by their unique stances and expressions. These aggressive stances are classified in two: offensive and defensive. If you see your kitty in any of these postures, maybe it’s time for you to cool down the situation. Let’s see the different postures that a cat would use in different aggressions! There are various types of aggression observed among cats and the most common one is seen in the non-neutered males. If cats are not neutered before their adulthood, their aggression towards other male cats will be undoubtedly seen. Other than that, felines can grow fierce over their territories, kittens or just from a rough play. Let’s have a look at different types of aggression that are mainly observed in “sweet” felines! If a cat senses his or her insecurity in the presence of other cats, people or other animals, this type of aggression could be seen. These felines may acquire defensive postures when they feel a certain threat. It is not necessary that cats can be threatened only by other cats; it could be dogs, their pet parents or other animals too. The best thing to do in such a situation is to let him calm down at his own pace. It is a universally known fact that cats are territorial. They mark their territories and any other animal surpasses that may have to face this feline’s hisses and growls. Generally in this kind of aggression, the cats take offensive postures. If you have two cats or a dog and a cat, marking their territories or giving them separate rooms till they get to know each other may help you to stop the territorial fury among them. It can always get rough when kittens or young cats play with each other. You may never even know how their playful behavior could flip into aggressive postures and eventually into a cat fight. Before the rough play could phase into a fight, sense their fury from the postures and put a stop to their play for a peaceful atmosphere. Probably this is the most dangerous kind of aggression. If a cat is already agitated by someone on whom he can’t get his hands on, this fury can be redirected to the very next person that annoys him or even just sees him. This type of aggression stays for a longer while than the other ones. Any living organism that reproduces are always over protective for their children, be it our mother, a female dog or a cat. Felines are the same for their kittens. For the first few days after the litter, cats do not even let anybody near her kittens. If someone does, they get very furious and can harm the opponent. So, these were the talks of possibilities of aggressive behavior in cats. But, what could be done if cats have already gotten into a fight? Here are some tips that could help you to control the fierce behavior among felines! Separate both the cats as soon as you see them growling and hissing at each other. Placing them in different rooms where they cannot see each other, but can smell could be the best idea. Toss treats or toys to distract them when they turn against each other. This may take off their minds from the fight and can make the situation better. Keep their litter boxes and food bowls separate. Don’t try to induce the element of sharing in them as it can be very dangerous for your other cat that is usually dominated by the former one. Cats are just not meant to be sharing and being okay with the crossing of their territories. If you see redirected aggression in your kitty more often, then consulting a vet could be better. A long term aggression has to be treated right away before your kitty starts attacking you. After they seem alright, re-introduce them and toss a treat for their good behavior. It is very necessary to take care about not appreciating bad behavior in cats. In all, cat fights can turn very nasty if their aggression is not controlled right away. To put a stop at the furious rages of cats, it is very important to understand their behavior on the whole. 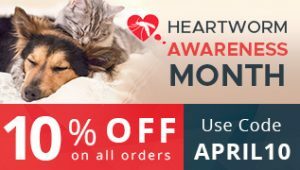 The above mentioned stances and types of aggression could really help analyzing your cat’s behavior. So, stop your felines beforehand to cut short the pain of making them friends again!